GL's End-to-End Communications Network Lab (EE-CNL) provides you a “Live Network” at your company premises in any customized package to suit test requirements. The EE-CNL comprises of set of PC-based Simulators, popularly known asMAPS™, which are Simple-to-setup, Affordable, Scalable, andCustomizable. All functionalities conform to industry standards. 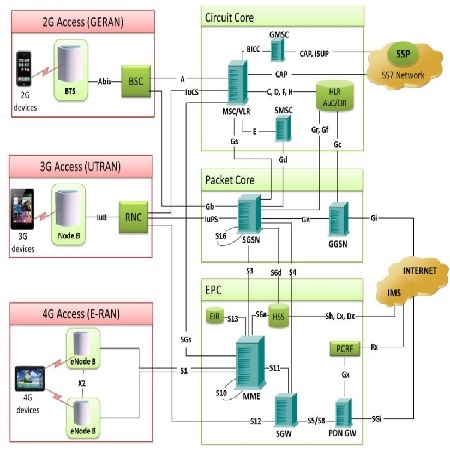 The EE-CNL provides reliable integrated solutions to vendors and service providers for simulation, monitoring, troubleshooting the 2G, 3G and 4G mobile networks. MAPS™ (Message Automation and Protocol Simulation) is a dongle based licensed software offering accurate emulation all the core network elements and traffic types within the Wireless infrastructure. With the integration of third party tools for access network, the entire wireless network can be operated as a real-time network. MAPS™ software supports a variety of protocols under common architecture. The product requires simple test bed configurations to establish communication between different network elements, and the mobile phones via BTS involved in the lab setups. The ready-to-use scripts makes testing procedure simpler which are used to quickly setup calls generating and verifying data traffic. The scripts are events-driven and provide fine control over call behaviour. It also allows for performance & conformance testing compliant with 3GPP standards. Single Interface Test Setup - With this solution, a single interface can be tested using MAPS™, which can embed in itself all the functionalities of the entities interacting with this interface. Multi Interface Test Setup - With this solution, DUTs over different interfaces can be tested simultaneously using a single MAPS™, which provides all the required functionalities over these interfaces. Wrap Around Test Setup - With this solution, vendors can test their DUT by replacing all the nodes interacting with the device with appropriate MAPS™ products.